January 30, 2019 The latest Rainbow Six Siege patch notes confirm Caveira’s catastrophic nerfs are just around the corner. Rainbow Six Siege’s latest update goes live next week, bringing with it some game-changing nerfs to Caveira. The changes were first mentioned in a post on the game’s subreddit, earlier this month, and Ubisoft says they’re to ensure the defensive Brazilian operator embodies a particularly stealthy role. 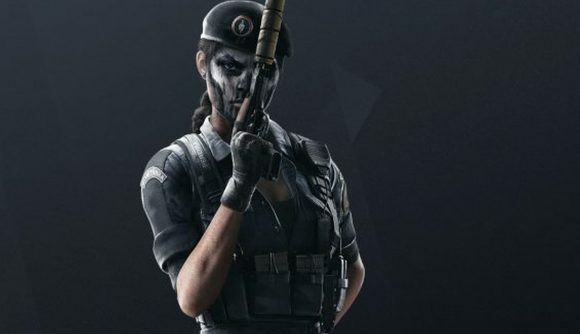 The changes are to Caveira’s silenced handgun, the Lusion, and the most impactful is likely to be the weapon’s significant damage nerf, meaning the gun will now do 65 damage instead of 99. To make up for that change, however, the weapon’s significant damage drop-off has been brought closer in-line with other pistols. Elsewhere, the update takes a look at Clash’s SPSMG9, which is now fully automatic, rather than firing in two-round bursts, with an increased clip size and a damage buff to boot. Elsewhere, Kayd’s AUG gets a slight buff, while the MP5 has been nerfed. The Y3S4.2 patch goes live on February 5 for PC, so Caveira mains have until then to pick out a new favourite character.